Boil 1 cup water, add tamarind or bilimbi (kamias). Mince until softened. Add more water, add tomato, onion, string beans, water spinach. Wait until vegetable softens. Add green pepper, shrimp, salt or maggi magic sarap. It’s snack time and yet I’m craving for rice and sinigang na hipon, haha! Thanks for taking the time, I really appreciate it. I also enjoy cooking and I will definitely try this with kamias, sounds really good. 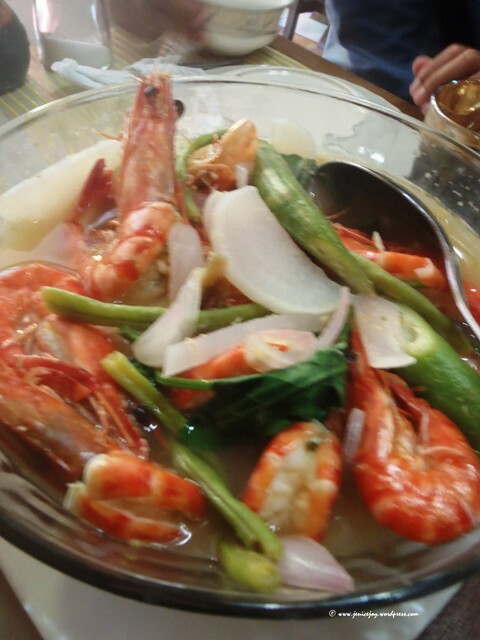 Your Nanay’s sinigang sure looks like one of the favorites in your family! I kept coming back to your sinigang photo, mouthwatering, kagutom talaga! yes definitely our family’s favorite! The sour flavor kamias makes it different from other recipes 🙂 go try it!